Difference is a key term in contemporary feminism. Since the 1700s women have been concerned with how they are seen as different from men and the social consequences of such assumed and actual differences. Whereas early second–wave feminism stressed women′s shared oppression and sisterhood, more recent feminism has stressed difference – of class, race, ethnicity, sexual orientation and age.Feminism, Theory and the Politics of Difference looks at the question of difference across the full spectrum of feminist theory from liberal, radical, lesbian and socialist theories to Black and post–colonial feminisms. 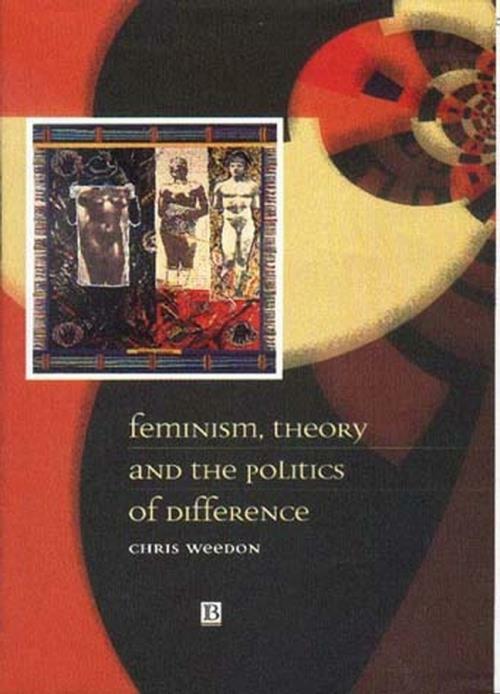 It relates feminist approaches to difference and diversity to the tendency within postmodernism to celebrate them often without due attention to power. 1. The Question of Difference. 2. Challenging Patriarchy, Decentring Heterosexuality: Radical and Revolutionary Feminisms. 3. Lesbian Difference, Feminism and Queer Theory. 5. The Production and Subversion of Gender: Postmodern Approaches. 7. Race, Racism and the Problem of Whiteness. 8. Beyond Eurocentrism: Feminism and the Politics of Difference in a Global Frame.